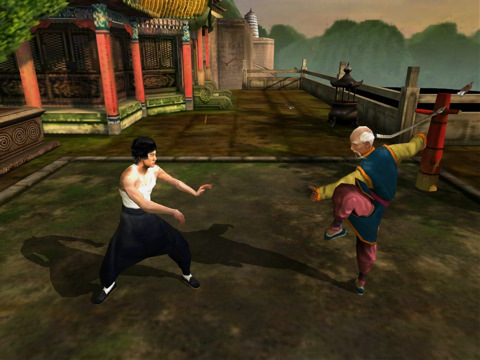 Bruce Lee: Dragon Warrior is an intense, high velocity fighting game for the iPad. The graphics are amazing, the pre-fight animation rituals are a blast, and the game is captivating for anyone who enjoys beating their opponents to a bloody pulp. Best of all, the game feels like it actually requires skill to beat. You can’t get away with random fast button tapping to obliterate foes, and so you must take time to master your craft and learn your strengths. If you like Mortal Kombat, this is a great and unique app that might fill your void since the classic doesn’t exist on the iPad. When you first open the app, you’re introduced to a menu that lets you choose between game mode, see the credits, and change settings. The settings button allows you to control the volumes of the music or sound (which are wonderful), adjust the camera tilt of your videos, change the directional control settings of the game, and switch between a variety of languages for the game itself. When it comes to actually playing the game, you have a choice between story, arcade, time attack, versus, survival and training ground. When you first buy the app it’s helpful to head over to the training ground, as this will will teach you how to block punches, move around to your advantage, land combos, and use the game controls to your advantage. The controls layout takes a little while to get used to (as a beginner I slipped off of hit or punch sometimes), but basically the directional pad is on the left and the right hand side has the kick and hit buttons. Specific taps create combos and more effective kicks, and the game gets more fun as you figure out how to capitalize on opponents’ weaknesses. One guy, for example, sways around like he’s drunk. Striking him as he’s off balance is your key to success. 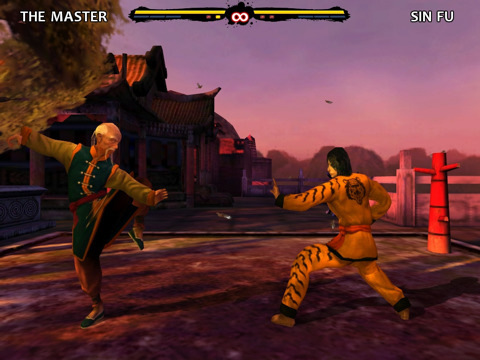 The life bars on the upper part of the screen keep track of your progress against your opponent during fights. 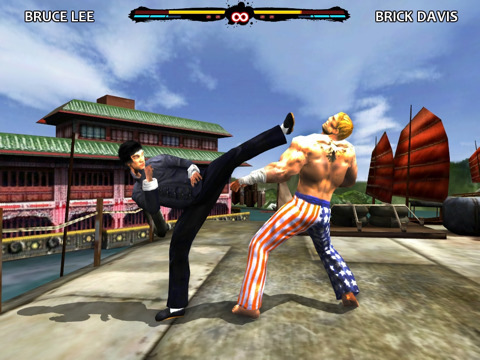 While arcade and survival modes send you through random sets of locations and enemies for fighting, the story mode adds a sense of achievement and makes the opponents progressively difficult to beat as you advance. At first it was interesting to jump around to different parts of the world and progressively learn more moves from The Master in story mode, but in the end arcade mode was almost as captivating. Story mode just never gave me the sense that I needed to “beat the game” and so I never got as obsessed as I should have considering the overall quality of Bruce Lee Dragon Warrior. Instead of sticking with story mode through the end, I ended up trading off in arcade mode with friends. That was more interesting than investing real time in beating The Master and everyone else over and over again. Despite that small drawback, there’s no question that Bruce Lee Dragon Warrior is one of the coolest games on the iPad in terms of graphics. When I opened the app for the first time I was shocked to see its console-like quality and I still believe there are few games that can hold a candle to this graphical quality. If you’re into fighting games for the sake of fighting, Bruce Lee: Dragon Warrior is highly recommended. 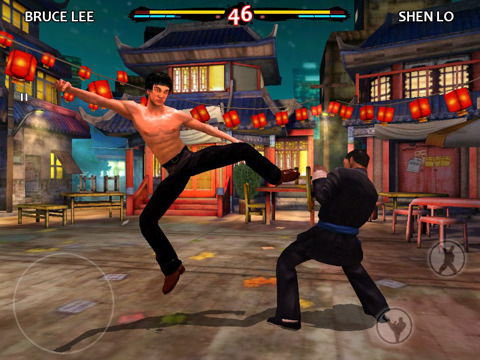 Bottom Line: Bruce Lee: Dragon Warrior is one of the best fighting apps on the iPad. It has great clean graphics, responsive controls, and fun gameplay. Story mode isn’t the most captivating, but how many people really fight because of the story anyway?